Another game for Tucson baseball fans: The Seattle Mariners and Milwaukee Brewers are playing a Cactus League Spring Training game at Kino Stadium on Friday, March 16 at 1:05 p.m.
“Milwaukee and Seattle are cold weather climates and we look forward to seeing fans from those regions visiting Tucson for the game,” said Tom Tracy, chairman of the Pima County Sports and Tourism Authority, which is sponsoring the game. 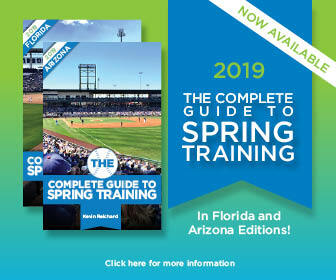 This is the third Major League Spring Training game scheduled to be played at Kino Stadium next month. On Sunday, March 18 the San Diego Padres host the Colorado Rockies at 1:05 p.m. The Chicago White Sox and Los Angeles Dodgers are playing five days later on Friday, March 23 at 1:05 p.m, with proceeds from that game benefiting the Christina-Taylor Green Memorial Foundation. Gates open at 11:30 a.m. for all three games. The Tucson Padres staff is overseeing the game operations for all three games.